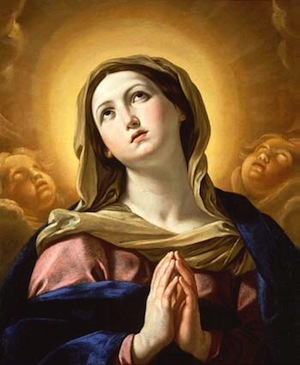 The Legion of Mary is a worldwide organization whereby Catholic men and women sanctify their lives through prayer and service under the guidance of a spiritual director. The Legion of Mary has been active at the Parish of Saint Mary, Mother of the Church since June 1999. There are two types of membership in the Legion: Active- Members who attend a weekly meeting centered around the Rosary and the Legion handbook and perform two hours of sapostolic work per week. Auxiliary-members are our praying members. Our active members currently minister to patients at a local nursing home and are also involved in the pro-life ministry. Please prayerfully consider joining us as an active or auxiliary member. For more information please call the rectory at 896-6400 or join us at our weekly meeting on Wednesdays at 4pm in the Chapel on Bedford Avenue.